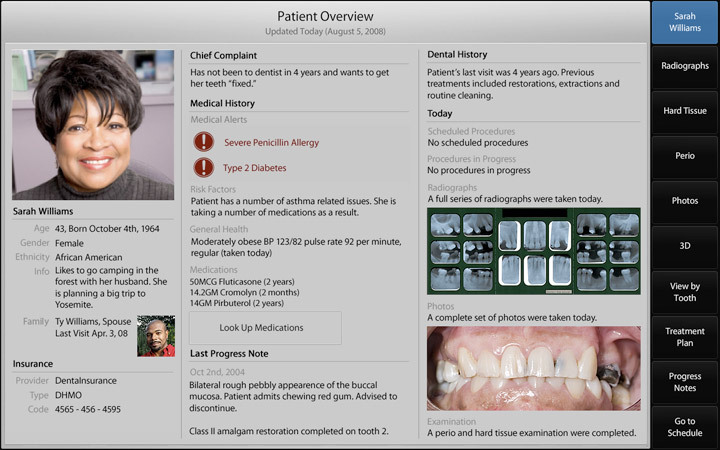 The heart of our project, and of any good user-centered project, was quickly creating a prototype and putting it in front of dentists. With such a limited time span to do the entire building phase, we made sure to set a quick pace. As a result, we had 5 complete paper prototypes and countless variations of our high fidelity prototype. In total, we ran 23 user tests. Using the results from our concept validation, we began be creating 3 completely different paper prototypes. One relied on touch, and two others were different voice based systems. Take a look at the screenshots below to get a feel for each of the systems. They are rough, and are intended to be, to make users ignore the details and focus on the big issues. 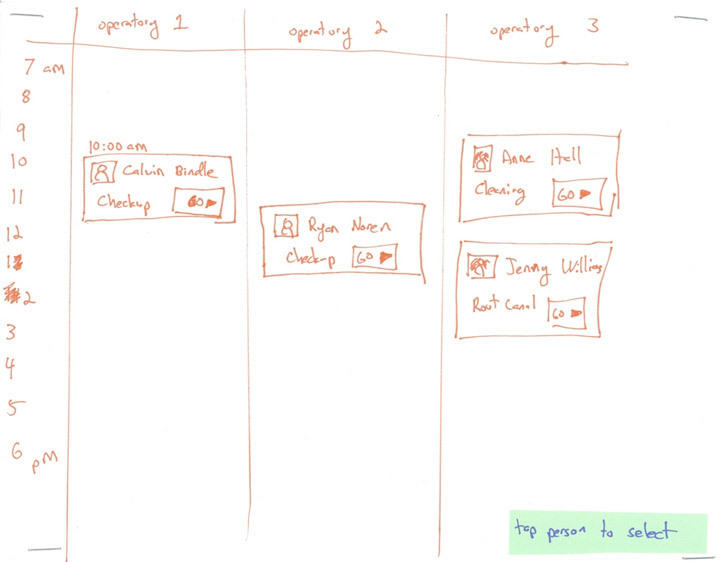 After creating tasks and user testing these prototypes, we came to a number of conclusions. The most important was deciding to move forward with touch and leaving voice based systems behind. Dentists were very excited about the voice based systems, but did considerably worse in accomplishing complex tasks and developing appropriate mental models. 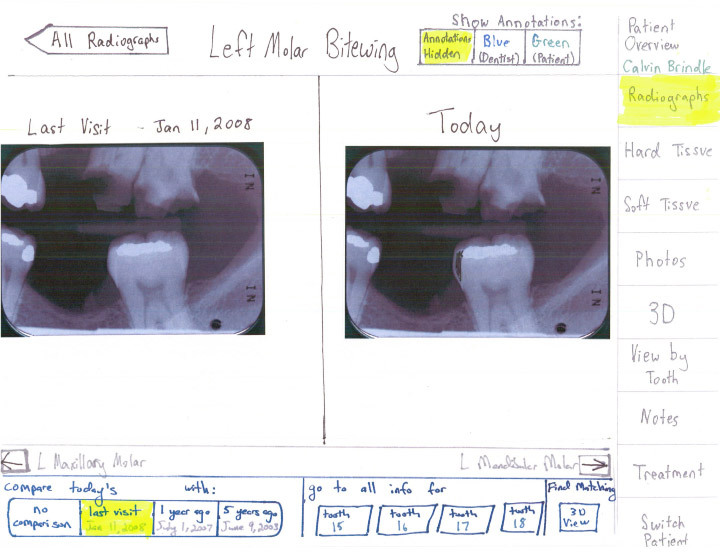 Several dentists also expressed privacy concerns about saying HIPAA protected information out loud on a constant basis. The touch screen interface had a number of issues as well, but users did remarkably well in accomplishing the tasks. As we developed the touch-based system further, we did two additional complete paper prototypes with appropriate rounds of user testing. It was lucky these prototypes were in paper, as a large number of big changes occurred. One big shift was a de-emphasis on a feature we had called the timeline. 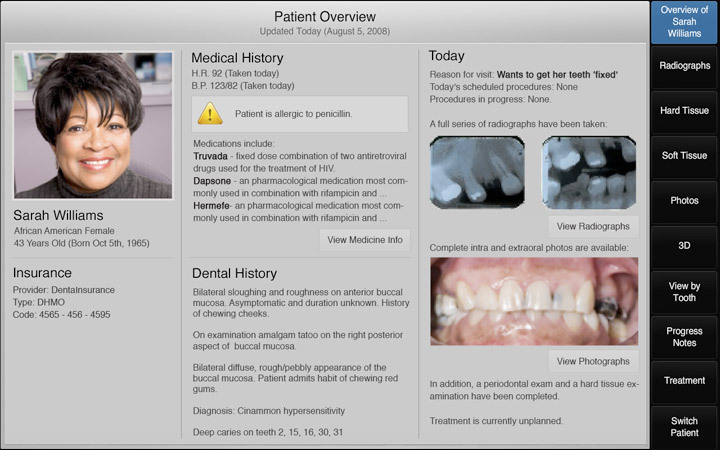 The timeline let dentists quickly pan through time and compare any number of dates with each other. 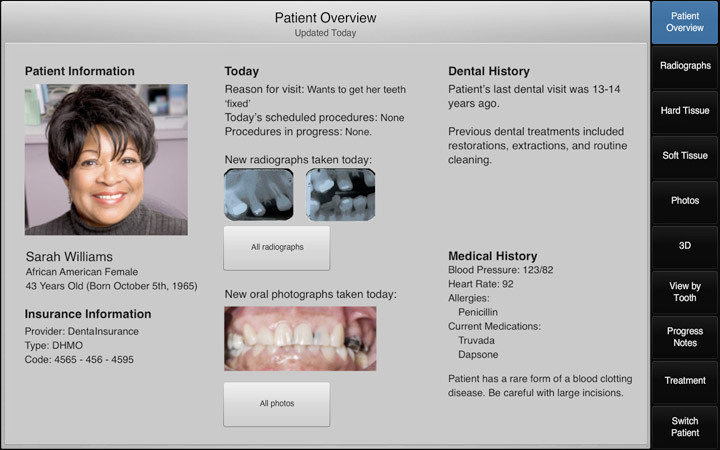 We tried several different timeline approaches, but dentists had a hard time using this feature and often had difficulty seeing the value in it. The drawing system was also completely redone to require a stylus to draw. 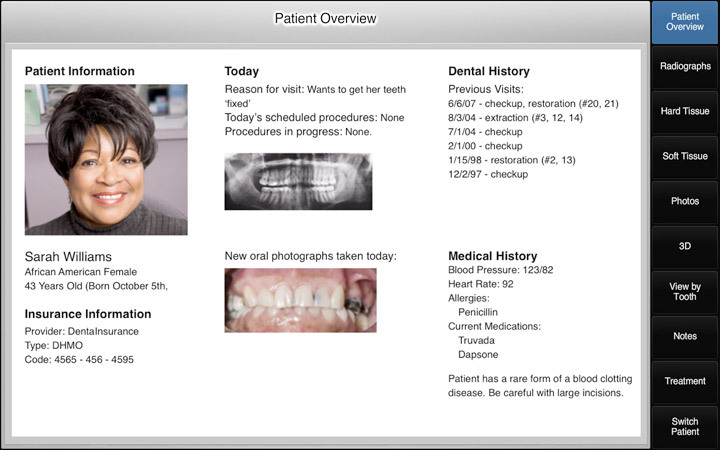 Notes and chart input, features present up until this point, were phased out because of user and client input. Some important themes also emerged during these rounds of paper prototype testing. Perhaps the most important was the need for context. 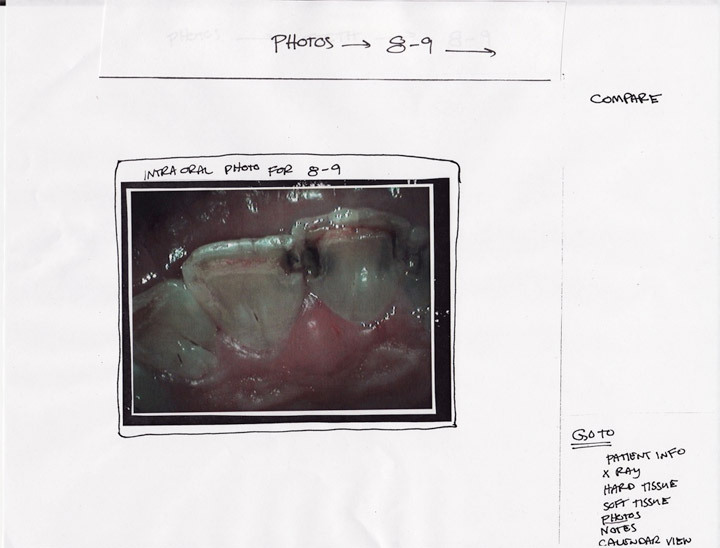 Dentists do want to look at a single tooth, but they still want to know where in the mouth a photo was taken and whether any teeth around are having problems. 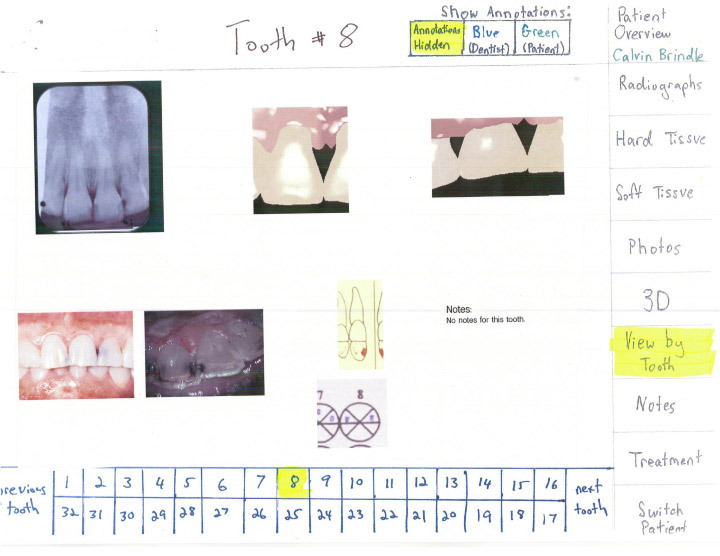 Another common request was for labels, so the many surfaces of the tooth could become obvious no matter what piece of information was being looked at. 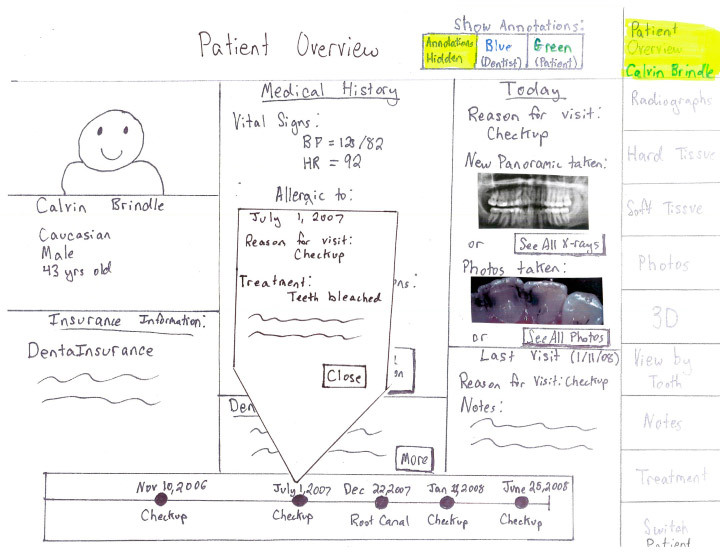 Having established a foundation on paper prototypes, we began building a high fidelity working prototype. This prototype went through over 30 iterations the course of it's life, and was tested on a regular basis. During this stage of our iteration, we moved towards a Rapid Iterative Testing and Evaluation (RITE) methodology, making small and obvious changes after every user testing while looking for larger problems across users. Two big changes happened over the course of these working prototypes. The first was a much greater emphasis on connecting the information from one page to another. 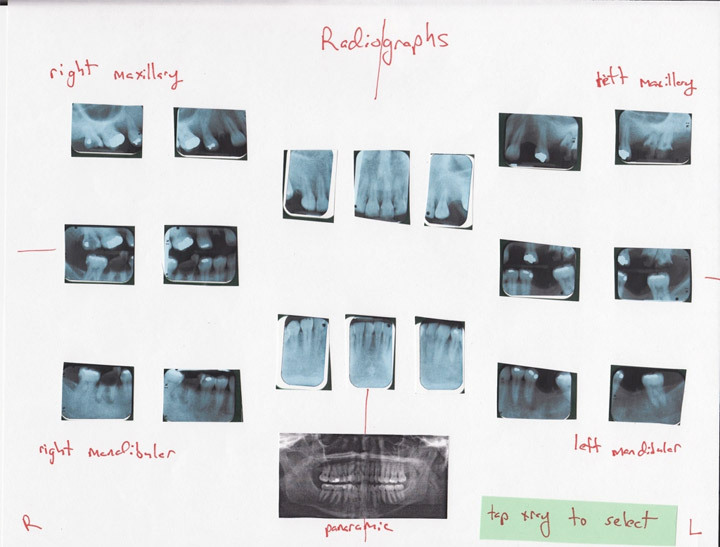 As an example, tapping on a tooth in the hard tissue now connects to the single tooth view, which can then take to the radiograph for that tooth and so on. 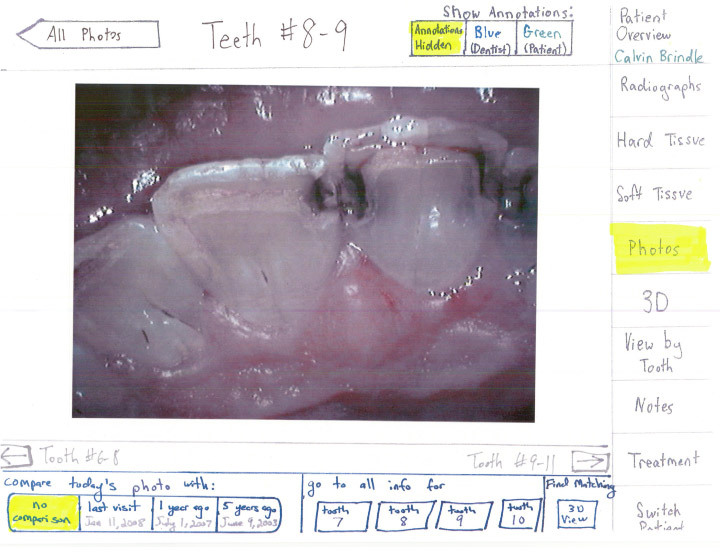 This interconnection between data made it much easier for dentists to use the large sets of data they were given. The other big change was integrated some interactions we could not have tested in a low fidelity setting. Brightness and contrast of images now change with the swipe of a finger, with a similar set up for measuring. The most satisfying interaction, however, is the added flick. 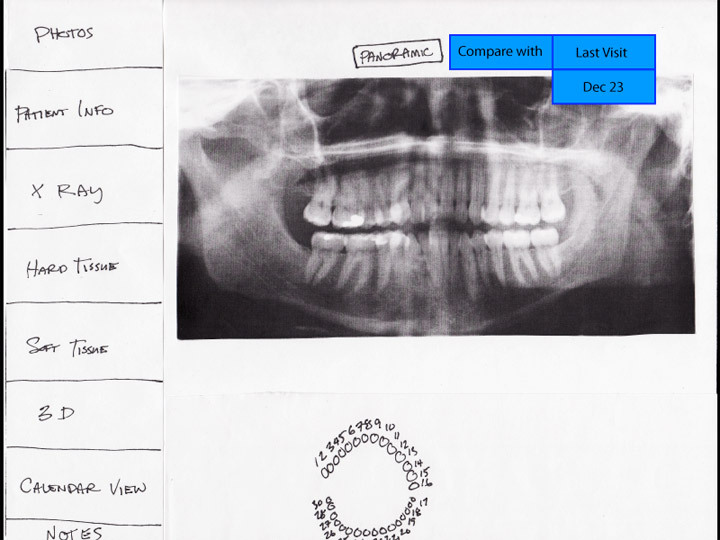 When looking at a radiograph or photo, users can simply drag it to the side to get the next one. We saw an almost immediate increase in the amount of photos examined after this interaction was added, and users couldn't help smiling while doing it. The iterative process is complicated, and no doubt many details, decisions, and insights were left out in this short description. View the report for complete details. If you are just curious whether all this amounted to something useful and usable, check out our evaluation.